Teamwork powers the NBA’s Detroit Pistons, beating the defense to score a game-winning basket. 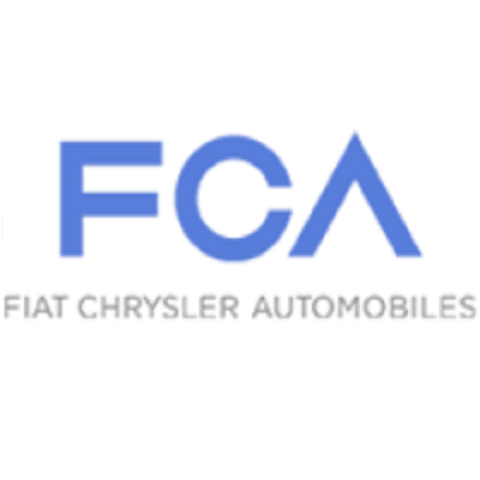 It also enables FCA designers to create stylish, award-winning vehicles. More than 15 Pistons players and staff members recently spent a couple of hours at the Product Design Office in FCA’s Auburn Hills, Michigan, complex to share ideas and real-world examples of teamwork with FCA Head of Design Ralph Gilles and his staff. 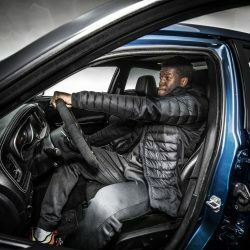 Jeep® is a marketing partner with the Detroit Pistons and the team provides a “Business of Basketball” program for its players. The program gives players an inside look at how other businesses operate and use teamwork to achieve their goals. It may also spark the interest of players in partnerships they could consider and engage with during and after their professional playing careers. With Gilles serving as tour guide, Pistons players learned how FCA designers immerse themselves in their work, such as driving Jeep concept vehicles off-road through the challenging trails of Moab, Utah. 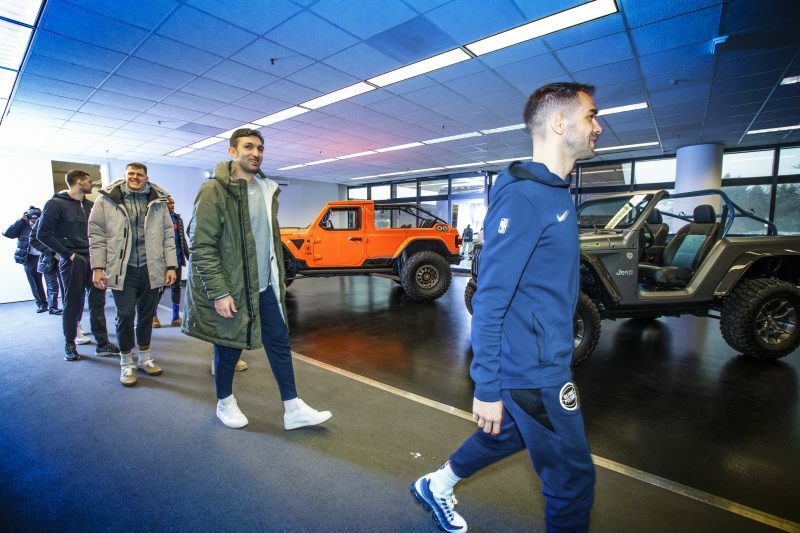 Players got to check out the Jeep Sandstorm, 4Speed and Africa concepts, then spent time with designers in FCA’s Design Dome inspecting a variety of FCA vehicles, including the forthcoming Jeep Gladiator pickup. The Jeep Grand Cherokee Trackhawk, all-new Ram 1500 pickup and Dodge Challenger SRT Hellcat Redeye also were attention-getters. 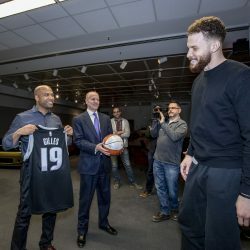 The last stop of the visit was inside the Jeep design studio, where Pistons players saw how a design moves from sketches to scale model to full-size clay rendering – with examples of how teams focus on details, such as the trim around headlights, and create test articles to evaluate the look of design elements. After a group photo, Pistons players gave Gilles a personalized “Motor City” basketball jersey and handed off a team-autographed basketball to Pat Dougherty, Vice President, FCA Great Lakes Business Center. Gilles presented the Pistons with an autographed plaque featuring the FCA Design logo to commemorate the visit.